We are project managers, marketers, social media obsessives and good people to know in Kendal, Cumbria (but can and do travel). We do real work in a practical, fuss-free way. 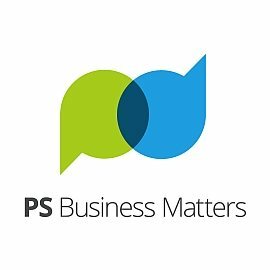 Paula Scott and Justin Grammer are PS Business Matters. We’re a Cumbria based consultancy (although we don’t really like the word ‘consultant’) specialising in project management, business development, marketing, social media and training. We can help you when your business needs a bit of extra support or knowledge or when your current resources or skills are stretched. We have lots of experience in developing, managing and delivering projects of all shapes and sizes – nothing is too large or too small – and a practical, sensible and fuss-free approach to business and marketing advice. We don’t just advise – we’re hands on and we like to get things done! We love a good project, whatever the size, we’re marketing hand-holders and will guide you through the traditional or digital media maze and we’ll teach you what we know about using social media well. We work with a range of businesses across Cumbria, Lancashire and, more recently, the North East of England, on projects of all shapes and sizes. We’d love to have a chat about your work, plans and ideas so give us a call.